As Founder and CEO of Zero Wait-State, Stephen is responsible for developing the corporate identity and all marketing and sales strategies. 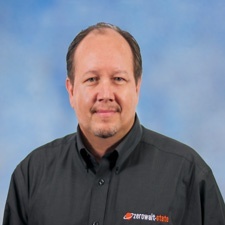 He works with technical resources to develop technologies for the industry and has sold these solutions to clients including Goodyear, Dell, Raytheon, Paccar, Cisco, and Harris Corporation. Stephen has developed strategic alliances with companies like Oracle, Dassault and Parametric Technology and resold substantial amounts of software to Zero Wait-State’s customer base throughout the country. He has been involved in sales and marketing in the discrete manufacturing industry for over 20 years specializing in Mechanical Engineering Applications and PLM Technology.